Some holidays come and go with little circumstance. Others are little more than an inconvenient bank holiday (think Columbus Day). Then, there’s Mother’s Day, which is a road bump en route to Father’s Day, right? Think Mother’s Day is another Hallmark marketing strategy to boost sales of sappy cards, and dust-collecting knick-knacks? Is it a day to make the obligatory visit with your buttoned-up shirt and flowers in hand? Has Mother’s Day become a joke? Not to God. In fact, an argument could be made that it’s the one holiday we are commanded to honor. Not even Christmas and Easter have the distinction of being a commandment to celebrate. Taking it 364 steps further, the Bible says numerous times to “honor your father and mother,” which means not just on one day, but every day. If you do, there’s a promise of reward. If we are really honest with ourselves, I’m guessing the majority of men don’t give enough credit for their moms. But they should. I’m sure there are exceptions, but moms deserve a lot more than a one-day token holiday. They carried us inside their wombs for nine months, and endured the birthing! That alone deserves a medal of honor. And, that’s only the very tip of the iceberg. If we think about all the mothering that goes on in life, there’s nothing even close to what moms do for us. Nobody can argue that moms give significantly more sacrificial love than men or kids, on a daily basis. Duh. But for men, often we need a reminder. Plan ahead. Take time from your busy lives to think about the significance of life, and the role your mother played. Your goal? Make them feel like a queen! Moms don’t care how much you spend, they care how much you care. You might even ask her, “Mom, what can I do to make you feel more loved, to honor you, be a better daughter or son?” Make it a once a year check-in time. And, there’s nothing better than to write a heart-felt, thought-out message in a letter or card. 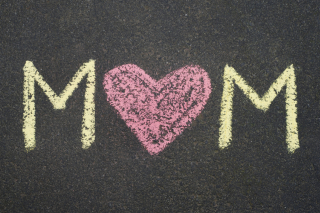 If you have kids, plan ahead with them to create a special gift and moment for mom. They will enjoy it, see how important the holiday is, and by modeling this, they will model it for their generation. Make a finger-painting with them. Color a home-made card with crayons. Make her breakfast (lunch and dinner?) she can enjoy in bed or in her favorite chair. Ask them to write what they love about their mom, and you do the same. Extra credit — Record video of you and your kids answering questions about why they love their mom. Plan ahead to prepare the home for a worry- or work-free weekend. Prep the meals, and dishes. Take over homework duty. Get the kids ready for Monday. Trite but true. Don’t forget the flowers. They love them! 6. Break out the baby books and videos. Spend time reminiscing about the early years. Listen to mom tell her stories, favorite memories of raising you and the kids. You might learn something in the process. Open your pocketbook to give her a little break from the every day. Special outing such as harbor cruise, bike ride, theater, concert, or limo service to/from dinner. 8. Go hi-tech to show hi-touch love. For those handy with a computer, put together a slideshow of memories, or a powerpoint of photos and videos and accompany it with music. Then, show it to her. Bring tissues. 9. Go low-tech to score big. Do whatever she loves to do. Sounds simple, but it’s thoughtful and sacrificial. If she wants to make a clay pot, go for a hike, drink tea at the Ritz Carlton, or just lay outside in the sun, then do it. Don’t take Mother’s Day for granted. They deserve it. We’re commanded to do it. Jesus modeled it. And there’s a reward for it.